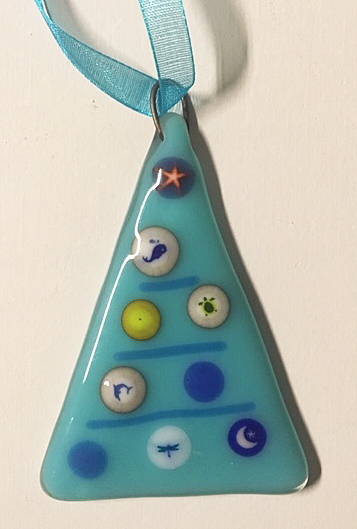 Decorate your Holiday/Year-Round Tree with this pretty & Tropical Tree Ornament featuring FUN sea animals like dolphin, whale, sea star; dragonfly, moon, and other little "ball ornaments" on turquoise glass with cobalt accents! If you already have a Tropical Tree that you decorate, this will be the perfect addition! Especially perfect for that person who just loves the Beach & decorates their home in these cool, tropical colors! 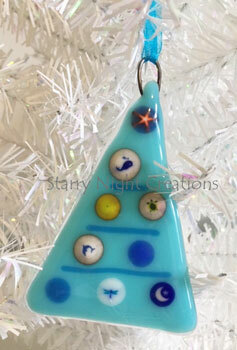 This Handmade Tree Ornament has been carefully created (by me) by cutting glass, piecing, & firing in a kiln. A metal hanger is imbedded into this Ornament with a pretty turquoise ribbon for hanging. This Tree Ornament comes with an Organza Gift Bag suitable for giving. 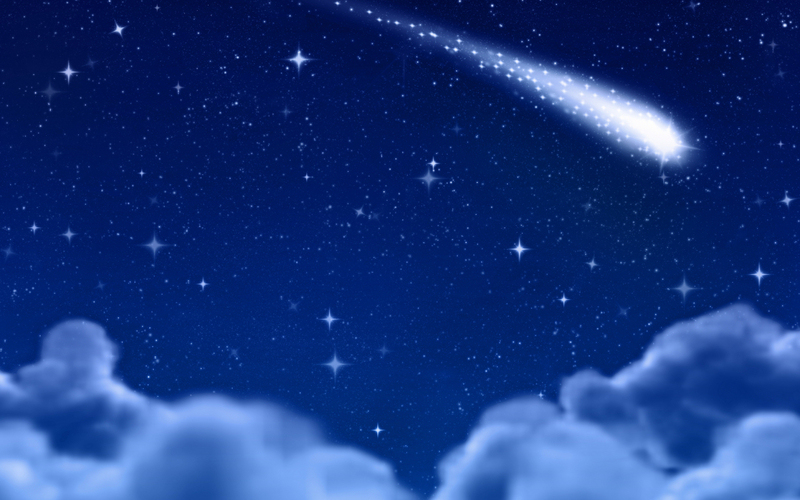 Additional similar Ornaments can be created if Customer desires more than one. :-) Please contact me. Comes with a turquoise Organza Ribbon for hanging.